Battles from previous World Cups and World Championships have already emerged. 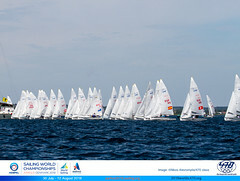 ​In 470 class, the Japanese Men's teams continue to assert themselves on their home waters. 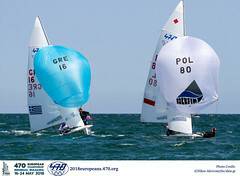 Keiju Okada and Jumpei Hokazono (JPN) had a superb day, securing a first and a second to solidify their overnight advantage over Mat Belcher and Will Ryan (AUS). The Australians picked up the day's other race win. 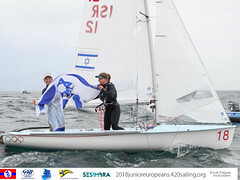 Ai Kondo Yoshida and Miho Yoshioka, 2018 World Champions, are also in strong contention in the Women's 470.